Split bedroom plan - open & spacious! 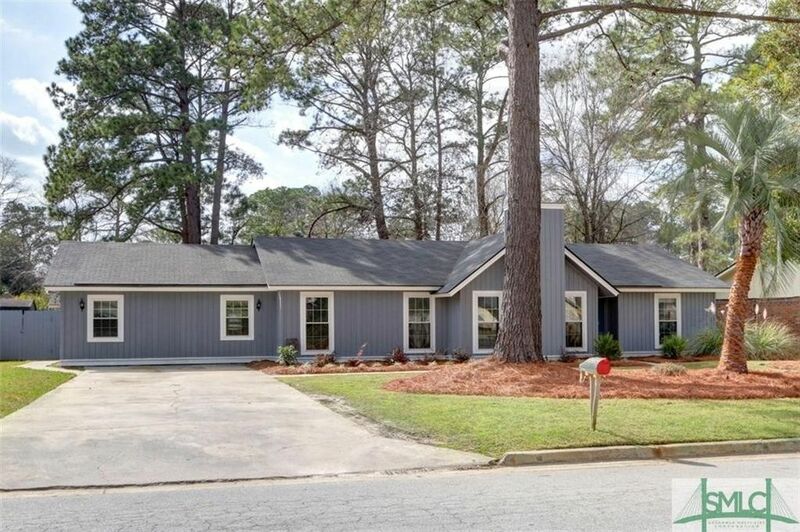 Designer decorated with updates like new hardwood floors, updated baths. Great room with fireplace and open to dining area. Galley kitchen. Master with walk-in closet and nice bath. Two bedrooms share bath on opposite side of house. Laundry room off large Bonus room/4th bedroom or huge playroom or office. Currently used as sportsman's dream MAN CAVE. Lots of options for this space. NEW HVAC/New windows, new flooring throughout, new exterior paint and new landscaping. Great neighborhood--and property not in flood zone. Sea Gate subdivision on Whitemarsh Island is within walking distance of islands schools, Whitemarsh walking trail and minutes to YMCA, downtown and the beach ! Directions: Hwy 80 East - right into Sea Gate Subdivision - then first left - property on right.